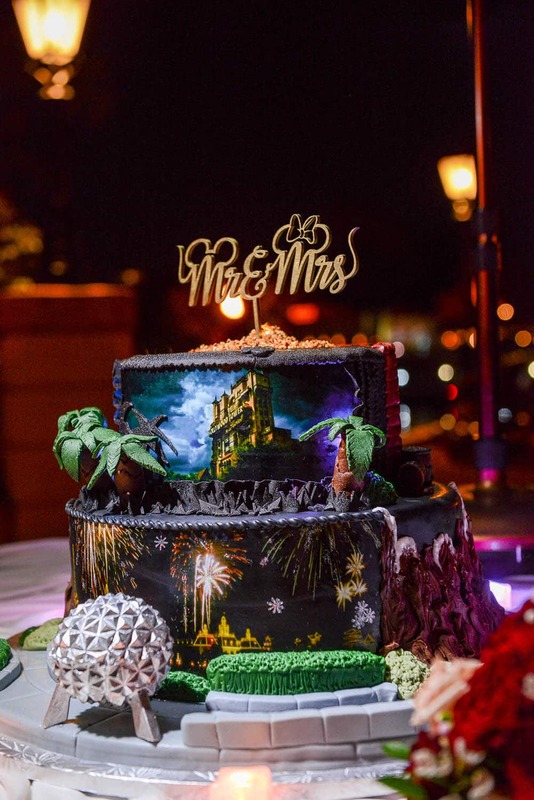 This Walt Disney World couple paid tribute to their favorite attractions and places in the parks on their two tier wedding cake. 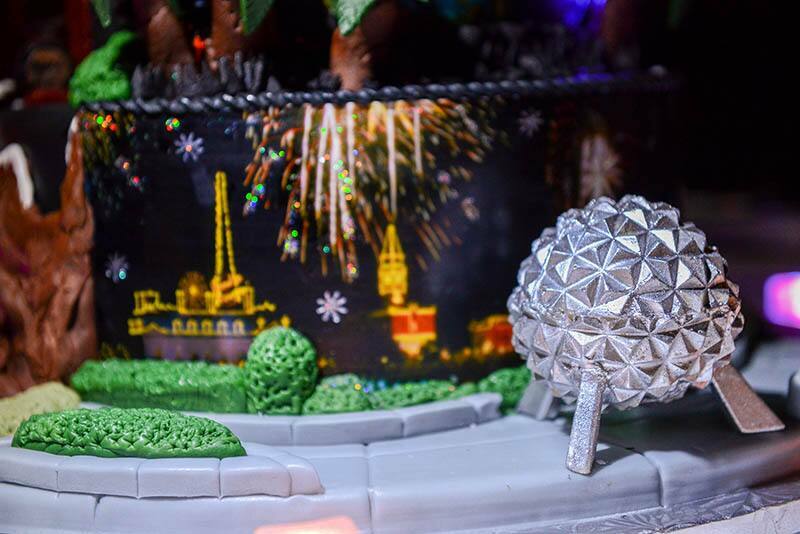 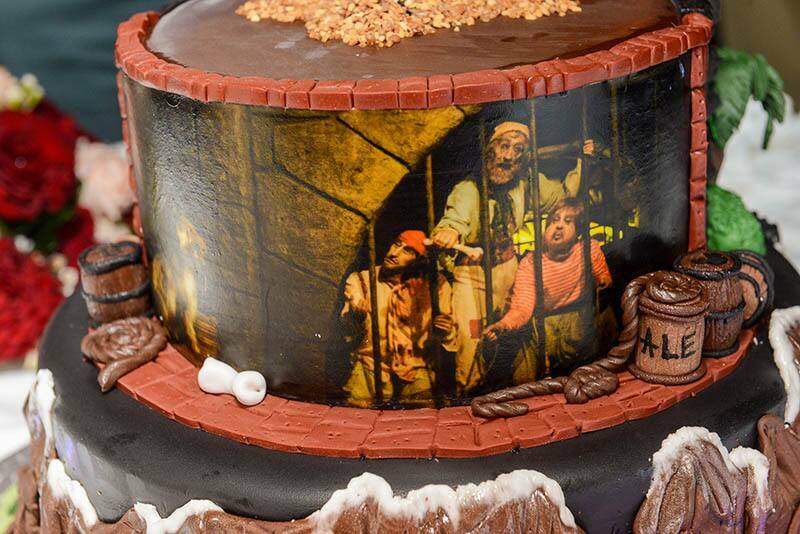 From the Twilight Zone Tower of Terror to the peaks of Expedition Everest and the iconic symbol of Epcot - Spaceship Earth, this cake is a Disney lovers dream. 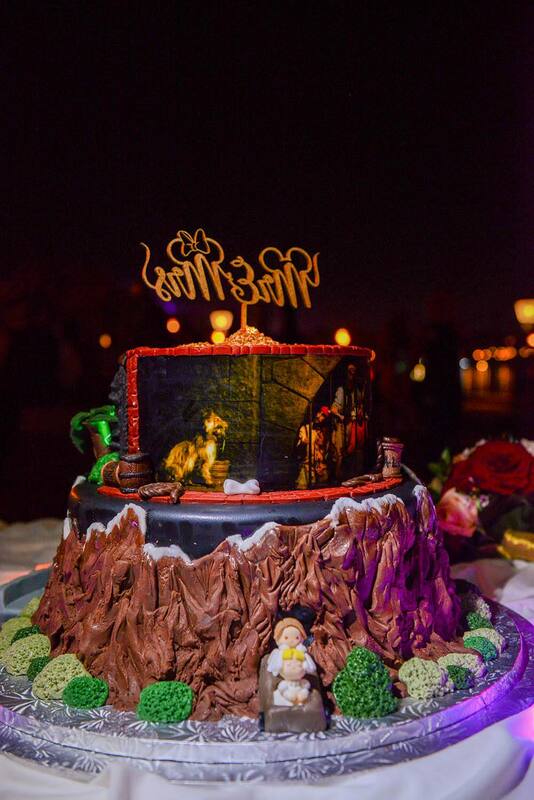 The fireworks burst over the World Showcase on the front of the bottom tier while in the back, the bride and groom enjoy a trip to visit the Yeti!